The 2018 Subaru Crosstrek wins “Best Off-Road” vehicle and Forester scores “Most Reliable” in Russia. See why Crosstrek is recognized for the first time. This is a first for the remodeled compact 2018 Subaru Crosstrek crossover (XV in global markets) in the Russia Car of the Year awards. It wins its first global nomination for being the “Best Off-Road” vehicle in the "Compact SUV” category and the 2018 Subaru Forester is recognized as the most reliable car in 2018. These nominations are a big deal in Russia as they recognized the best cars in the annual national award “The Car of the Year” for the last 18 years. The voting is the largest in terms of the number of participants in any automotive competition in the world. First place is determined by readers of the Auto Year magazine and motorists. This year’s voting took into account the opinion of 1,068,215 people from all over the country. The list of nominees included all models officially sold on the market. One of Subaru’s core values that sets the Japanese automaker apart from the rest of the family vehicles is their “go-anywhere” attitude. The 2018 Subaru Crosstrek is a popular choice by the Russian people who like its all-wheel-drive capabilities in the cold northern regions of the country. It grips the snow and ice and delivers the family safely to their destination. All Crosstrek models now come equipped with the X-Mode system that gives it improved off-road capabilities. It’s been the Subaru Forester and also Outback wagon that’s been the brand’s most-recognized vehicles in Russia. Subaru now has 9 awards in the last 18 years, but in the category "Compact SUVs" Crosstrek wins for the first time. The 2018 Subaru Crosstrek is the most popular choice for the first time by the Russian people who like its versatility and all-wheel-drive capabilities in the cold northern regions of the country. It wins the Best Off-Road Compact SUV award for its all-terrain capabilities. Forester scores “Most Reliable” in the Russian voting. 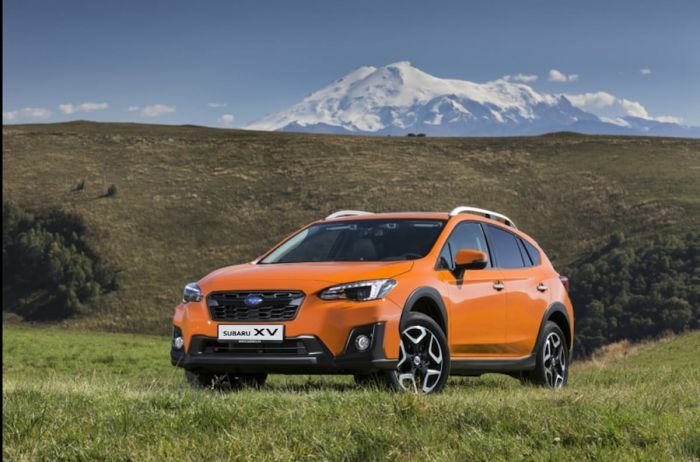 Crosstrek is becoming a popular all-wheel-drive off-road crossover around the globe.